"Danny Straessle from ArDOT says they only restrict groups from the adopt a highway program if they use profanity or engage in illegal activities. Nothing is more profane than the devil. This is a blatant attempt to break down the barriers of horror to Satanism, particularly in Arkansas, where Satanists have tried putting a large Satan statue on public property. 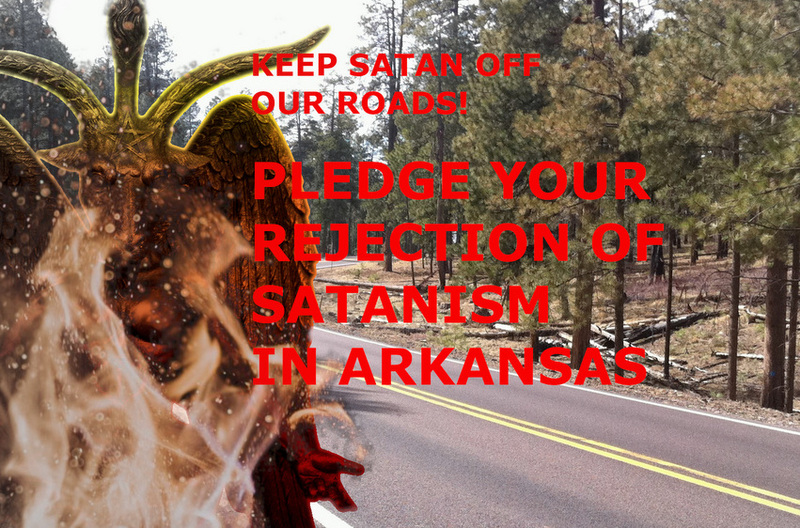 Please sign our petition, stating your rejection of Satanic Arkansas' participation in the 'Adopt- a-Highway' program.